GREENVILLE, SC - The final day of the 2015 GEICO Bassmaster Classic presented by GoPro began with Takahiro Omori leading with a 3 ounce advantage over Dean Rojas. Rojas had an 11 ounce lead over Mike Iaconelli, who in turn was 1 over the defending champ, Randy Howell. The champ had almost 2 pounds separating him from Casey Ashley and Brett Hite. On Sunday evening, at Bon Secours Wellness Arena, it was home town Casey Ashley who put his name in the history books. Ashley caught five bass that weighed a total of 20 pounds, 3 ounces - a limit that brought him victory in the Bassmaster Classic on his home waters of Lake Hartwell with a three-day total of 50-1. The weight was enough to help Ashley unseat Elite Series pro, Bobby Lane, from the hot seat, putting him in second place with 46-15. This pushed the day two leader, Takahiro Omori, into third place with 44-3. Ashley consistently caught fish on a homemade fish-head spinner rigged with a Zoom Super Fluke Jr. in pearl white. Ashley told the hometown crowd that his father, Danny, made him about 20 of the baits before the tournament began. With rainy and overcast weather conditions on Sunday, Ashley dominated the tactic that helped him to catch limits on day 1 and day 2 that weighed 29-14. This took him from fifth to first with his day three limit of 20-3. "I knew I had to catch a big bag today, and the weather was textbook for me," Ashley said. "It all came together, and I could just see it getting closer and closer and closer." Ashley, Lane and Omori were followed by Dean Rojas (43-13), Jacob Powroznik (43-1) and Michael Iaconelli (42-6). A day that began as anyone's event ended with a very proud host city. 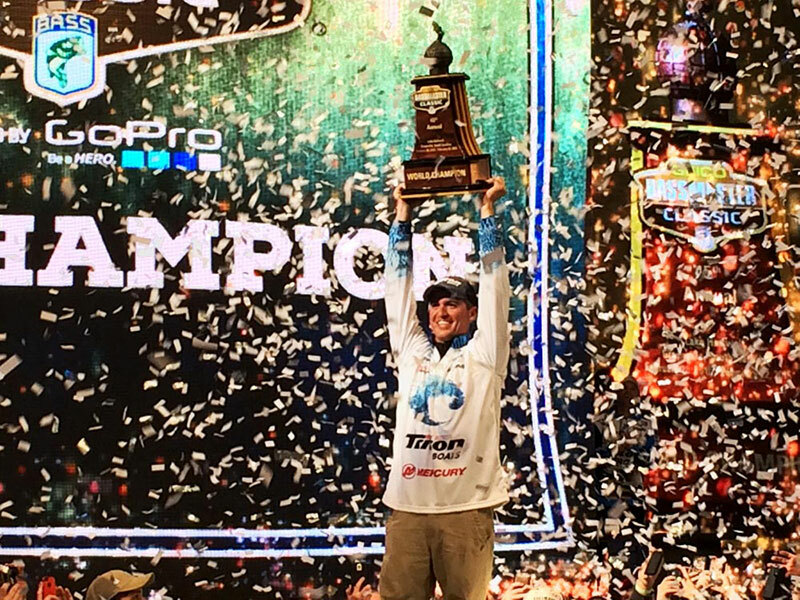 For a hometown angler to win on his home lake and to raise the trophy in front of his hometown crowd added extra excitement to the closing of the event. Former champion, Randy Howell, knew how Ashley felt winning in his home state, having done so in 2014 in Alabama. He presented Ashley the trophy with class. In a pre-classic interview, Howell had predicted if he didn't win the event it would be Ashley. He was correct in that prediction.